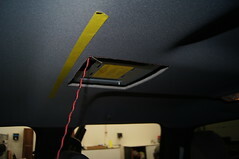 Provide entertainment for your passengers while integrating with your sound system. Movies and games aren’t just for children. Cut boredom on those long trips, or heighten the mood with a music video playlist. Screens can be integrated into headrests or the roof of your car, all with a seamless look to match your interior, and without any permanent modifications. A mobile video system is the perfect platform for providing GPS capability with turn-by-turn directions, into your vehicle. 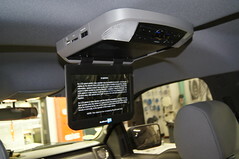 Many video systems have the built-in capability for display in your dashboard, or even as part of the rear-view mirror. Backup cameras give a field of view not possible by your vehicles mirrors, helping to avoid accidents and can even aid in hitching trailers. 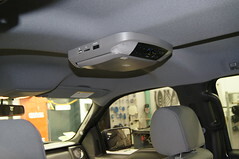 There are many options for integrating backup cameras into an existing navigation system, or in an aftermarket mobile video solution tailored to your vehicle, all triggered simply by putting the vehicle in reverse.